EAV offers a quick, non-invasive method of screening for health imbalances. 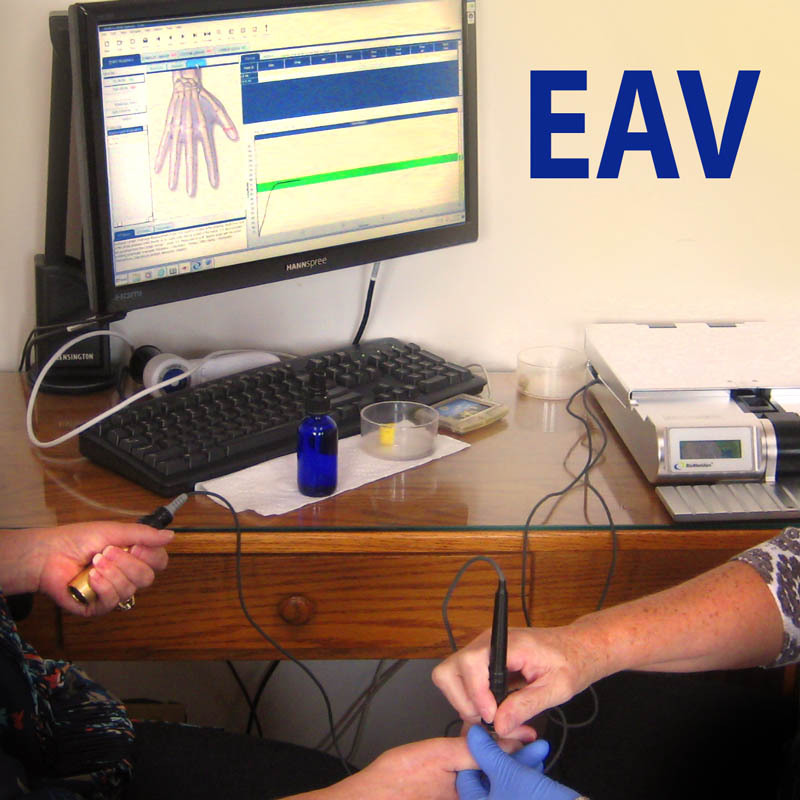 It should be clearly understood that EAV is not a “standard medical procedure,” and is not accepted as a diagnostic test for determining a specific disease or medical condition. It is, however, an energetic evaluation of an individual and provides an invaluable general assessment of a patient’s state of health. It has also proven to be a powerful tool for remedy and dental material selection, as well as for evaluating tooth stresses and jaw infections. Chronic Health Challenges/Lyme and others – individualized testing to identify contributing factors to complicated disease processes that are often difficult to diagnose and treat conventionally.